In a pinch and not sure what to make for dinner? 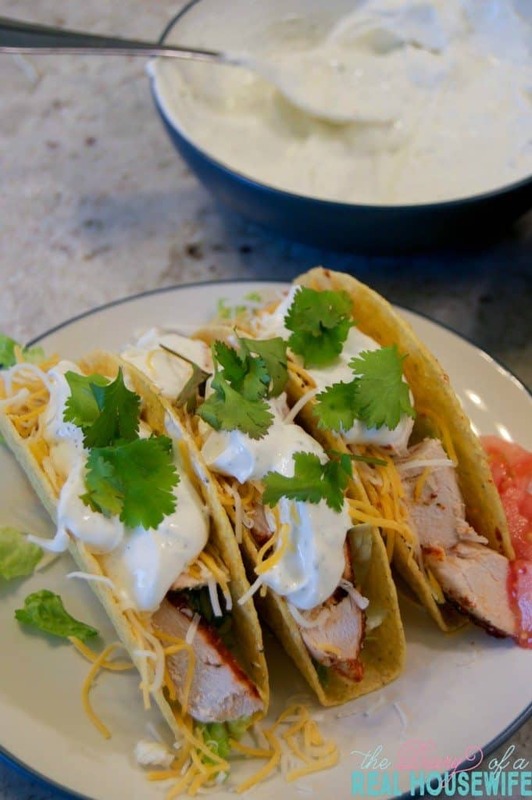 These Ranch Chicken Tacos are a family favorite and they come together in thirty minutes. Hi! It’s Jennie here from The Diary of a Real Housewife. Today I wanted to share with you one of my favorites. A different way to do tacos! Everyone loves a good taco! We eat Mexican style food in my house a lot! It’s my favorite. Last week thought we tried a little something different for taco night. 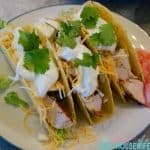 Making these chicken tacos are so easy! Start by cooking your chicken breast. Season it with taco seasoning and 1/2 a package of dry ranch seasoning. Bake at 375 degrees for 25-30 minutes until chicken is fully cooked. Once your chicken is cooked you can slice it or shredded it to add to your tacos. I have a simple kitchen hack that will help you shred your chicken perfectly (perfectly shredded chicken). Time to top the tacos! 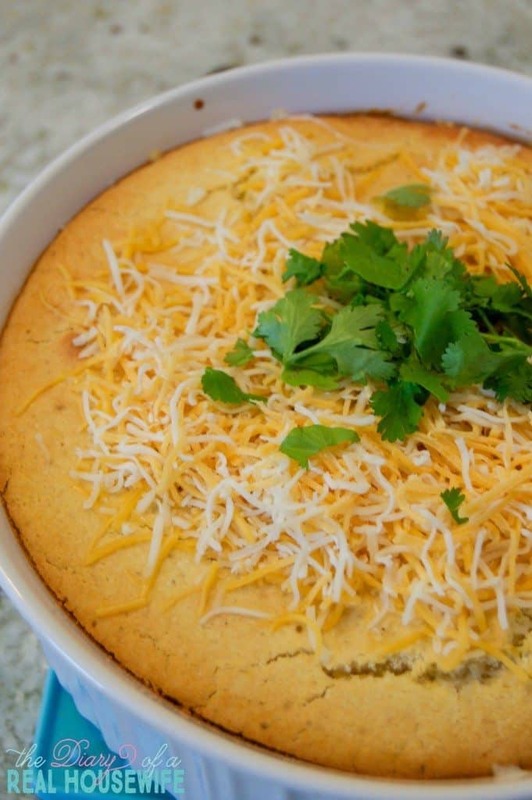 We always love a little sour cream on top and this really brought out that ranch flavor! I added the rest of the ranch seasoning to the sour cream and mixed well. 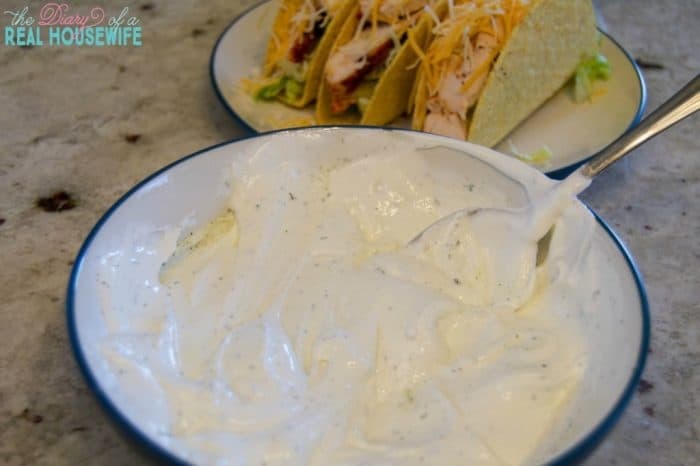 If you don’t like sour cream just skip it and drizzle your tacos with ranch dressing. 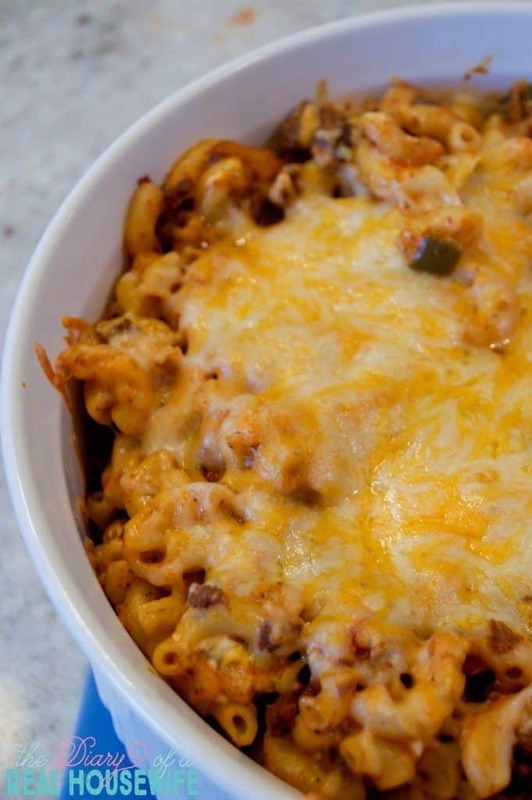 Super easy dinner your family will love. Want more dinner ideas? Sign up for The Diary of a Real Housewife Newsletter and get my free e-cookbook! In a pinch for a dinner idea? These Ranch Chicken Tacos are bursting with flavor and make the perfect weeknight meal. Season chicken breast with taco seasoning and 1/2 packet of dry ranch seasoning. 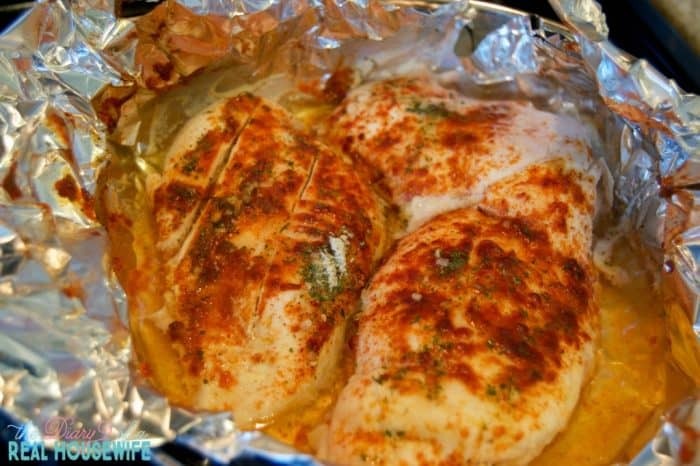 Bake for 25-30 minutes or until chicken is fully cooked. 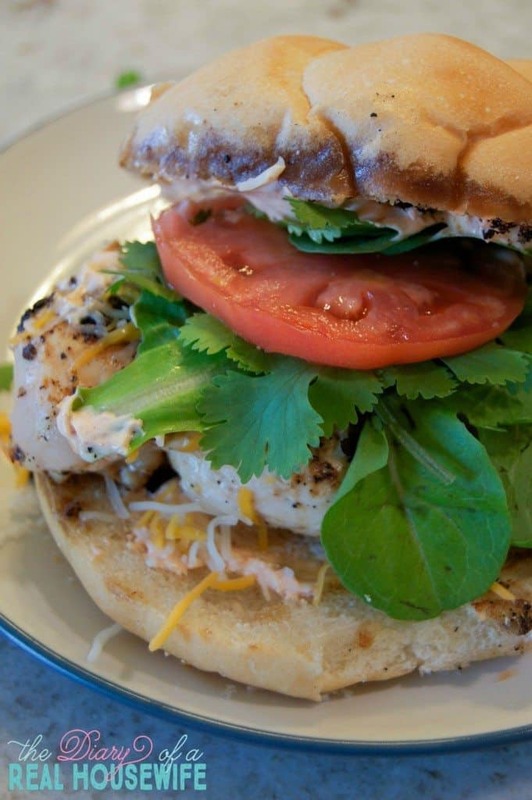 Slice or shred chicken. Add sour cream to a bowl, mix in the remaining dry ranch mix. Build your taco with chicken, lettuce, shredded cheese, ranch sour cream (or ranch dressing), and fresh cilantro. Enjoy!! Love this recipe? Check out more from The Diary of a Real Housewife.